Musings on sustainable food systems, agriculture vs. agroecology, and more! 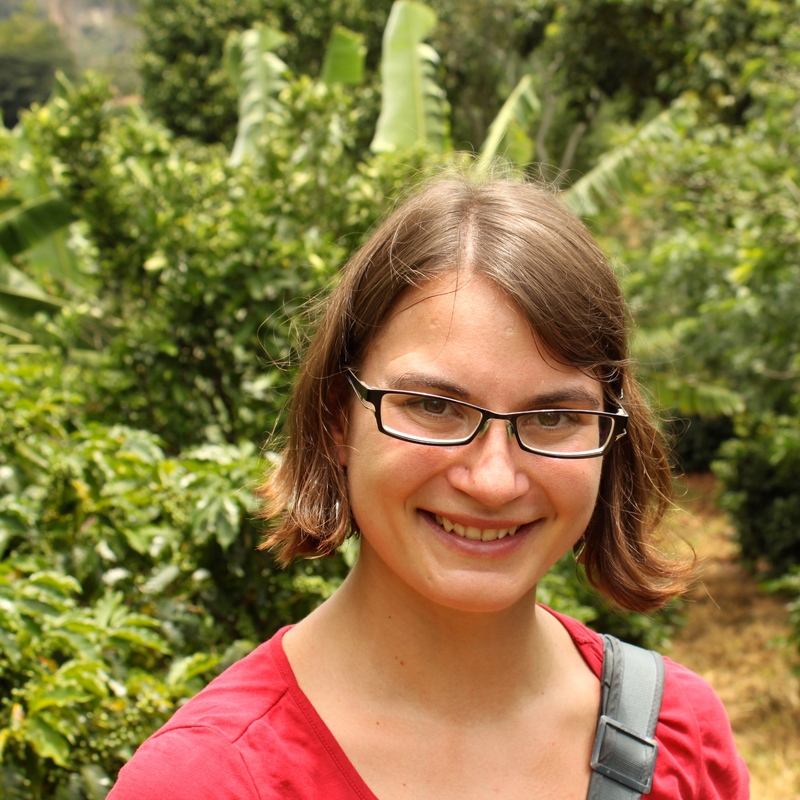 Currently a PhD candidate working on investigating the effectiveness of voluntary sustainability standards in the coffee sector (based in Costa Rica), I am passionate about sustainable food systems and new forms of agriculture that both improve food security and prevent environmental degradation. I started this blog in 2013 as a simultaneously intellectual and creative outlet: During the course of my studies in Agricultural, Food and Environmental Policy Analysis with the AFEPA Erasmus Mundus Masters program, I stumbled over mountains of interesting reports, data and presentations which I found too important to simply forget again – so I wanted to create this little space to archive, write about and share my findings with whoever else is interested in challenging the current food system. Furthermore, from 2014 to 2015 I had the honor of being a Mercator Fellow on International Affairs and worked on a project examining institutional support mechanisms for sustainable agriculture through the work in international organizations related to the topic in Brussels and Costa Rica. For a much better explanation of what is wrong with how we currently produce our food, and why I chose this career path, watch this TED talk by Jonathan Foley – The Other Inconvenient Truth. I endeavor to respect artists’ and photographers’ well-earned rights to their work and only use my own or Creative Commons-licensed images to illustrate my posts. If you recognize your work and feel it has not been properly attributed or wish it be taken down, please contact me. My blog picture icon is by Flickr-user JD Hancock and can be found here. The best part of blogging is the dialogue it creates, so don’t hesitate to contact me with questions, suggestions, recommendations or collaboration opportunities! Comment on the posts, find Food (Policy) For Thought on Facebook or shoot me an e-mail at janina (dot) grabs (at) gmail (dot) com! I like the initiative of your blog – its simply fascinating. Jonathan’s analyis makes sense but I propose he had a rethink on forecast on global population. Things may not be as bad as we think, moreover many governments have put in place birth control policies. Thanks for reading Chi! I was just watching that lecture the other night and agree with you with regard to the number of children per woman decreasing – however, I think Hans Rosling’s point is that even with these changes, the base number of people already in existence that will have children at the same time as older generations are still alive will eventually lead to a population number of around 9 billion, at least for an interim time period. In this TED talk he speaks about possibly being able to stop population growth by 2050: http://www.youtube.com/watch?v=fTznEIZRkLg. But yeah, many people talk about population growth in these very simplistic terms that ignore the underlying factors – of which poverty is a huge part. Looking forward to more discussions! Greetings from one grad student studying food to another. My research is about food waste. It is gerat to see someone else with similar interests. Great blog. Greetings back! It feels like a small but growing community, especially in the blogosphere. Food waste is such an important and understudied topic, yay to you for researching it! Thank you so much Rebecca! When you posted this I didn’t have reliable access to internet so I forgot to answer. Right now, I have a policy of not continuing award chains because I don’t always have 15 new blogs I can recommend and I think it gets a little old for readers otherwise – but I am very honored and thank you for reading! Hi – we are two Ottawa NGOs that have produced a new interactive website explores about food sources, diversity, threats and solutions. We are inviting readers, other bloggers, teachers, students and scientists to explore it! Seedmap.org is an online tool to provide you insight into where our food comes from, the challenges facing agriculture today, and strategies to overcome them. Using Google Map technology, the virtual map brings these issues directly to the classroom, your discussion group, and your breakfast table. Seedmap.org, is developed by USC Canada, and The ETC Group, offers an extensive online reference on seeds, biodiversity, corporate concentration in the seed and food sector and other agricultural issues. Hej Faris, thanks so much for your comment! I will check out the site and write a review as soon as possible! I am an undergraduate student pursuing food science and Technology in Tribhuvan University of Nepal. The blog of yours really inspired me. So far I am interested in Research for development in Agro-food system. I do perceive that Agro-food system spans each and every sector for the sustainable development of the World. since I am blogging about sustainability as well (www.lead-ahead.com) a friend of mine (Sebastian) just forwarded your blog to me. And I have to admit: Your work is seriously astonishing! Great stuff! Would you mind sending me an email, I think we have some insights and content we might be able to share. I’m working a research paper on raw milk and it’s history, I would like to use some of your blog post quotes in it but I cannot find your last name with which to put in my bibliography. Thanks! Hi Liesl, my name is Janina Grabs. Feel free to quote me 🙂 Good luck on your research paper! I’m writing my Bachelor’s Thesis on sanitary and phytosanitary measures in Russia. I saw in one of your articles that your thesis was about food policies in Russia and I would like to read it if it’s possible. Thanks! Hi Arisha, send me an email to janina [dot] grabs [at] gmail [dot] com and I will be happy to send a copy your way! What a great topic! Using Blockchain for Supply Chain Transparency: Fad or Future?